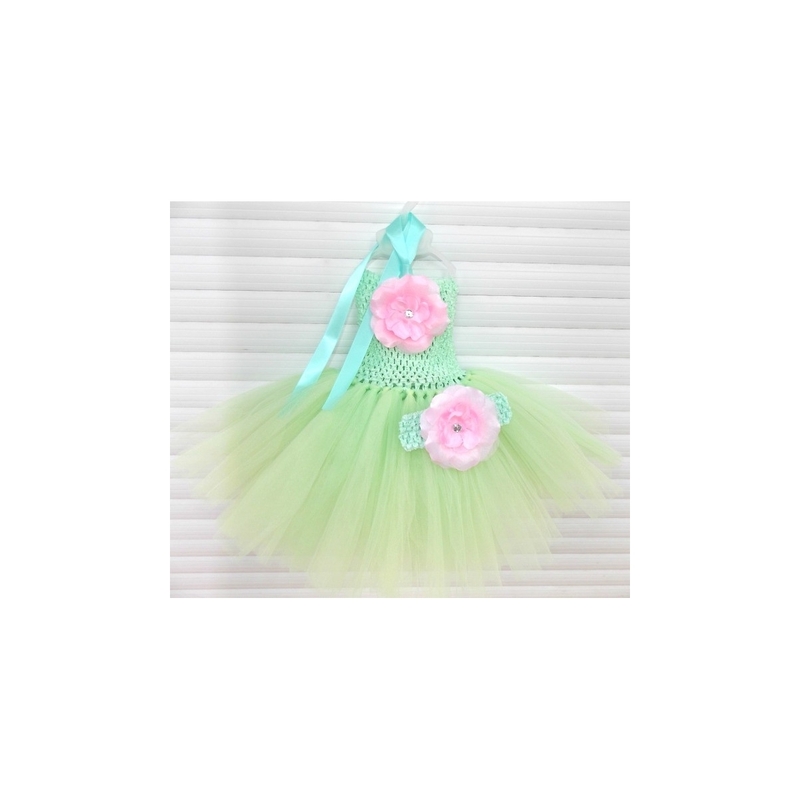 This Aqua mint tutu dress is stunning. 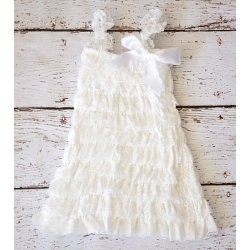 This classic tutu dress is made with only the finest tulle on the market. 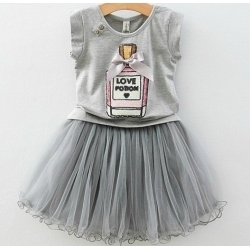 Tutu is doubled layered and to make it super full. 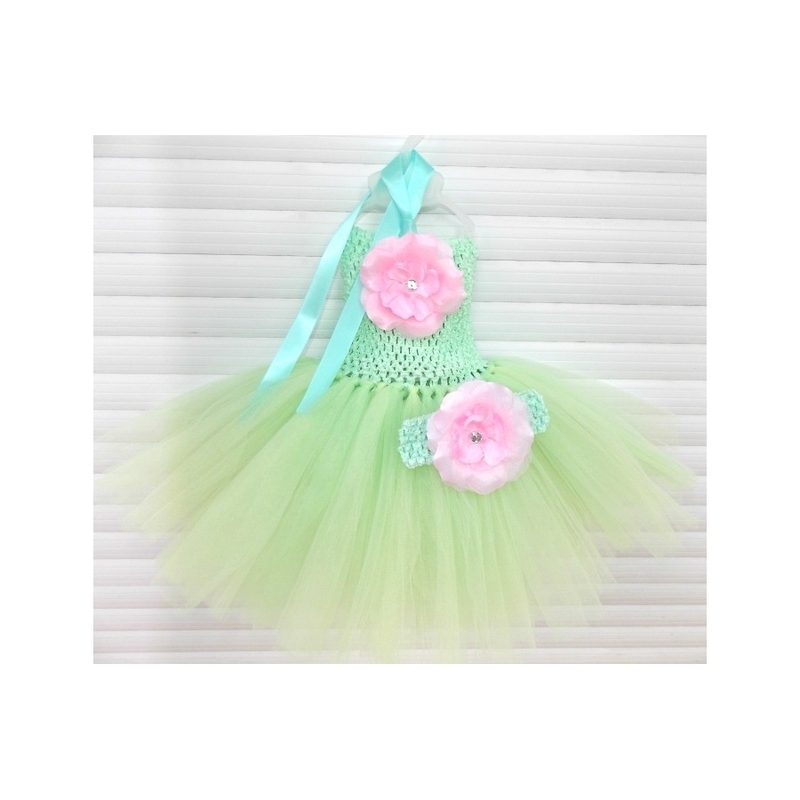 Bodice comes attached to tutu and is embellished with flower. 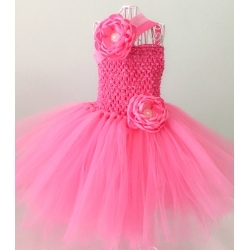 Tie this fuchsia tutu dress around her neck for the perfect fit. 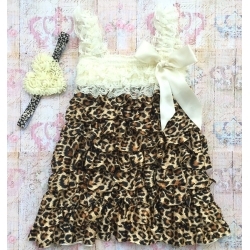 A great addition to her closet all year long.